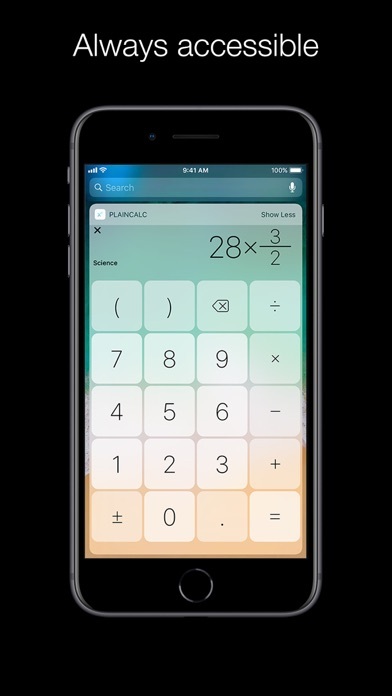 Get all of Plain Calculators powerful features at once: + Edit calculations anywhere, in-line + Create Workspaces and cross-reference them + Be more efficient with Unit Conversion + Undo changes and copy/paste calculations + Save them for reusability + Improve your workflow using Force Touch + Choose from 10 beautiful designs + Be faster with Apple Watch and Plain Calculator Pros Today Extension Plain Calculator Pro is incredibly powerful. Its simple and beautiful interface streamlines your workflow and empowers you to achieve more in less time. 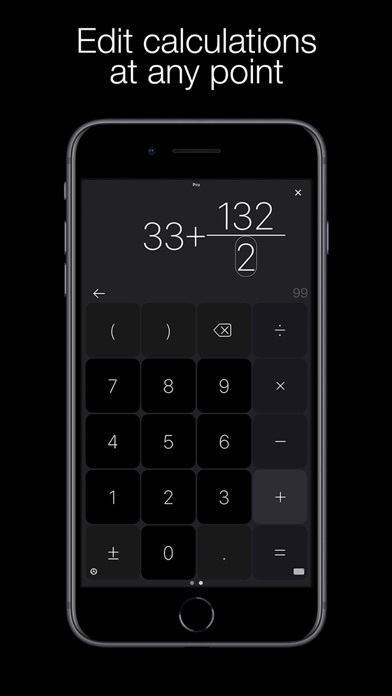 • Plain Calculator Pros design is tuned to be simple. 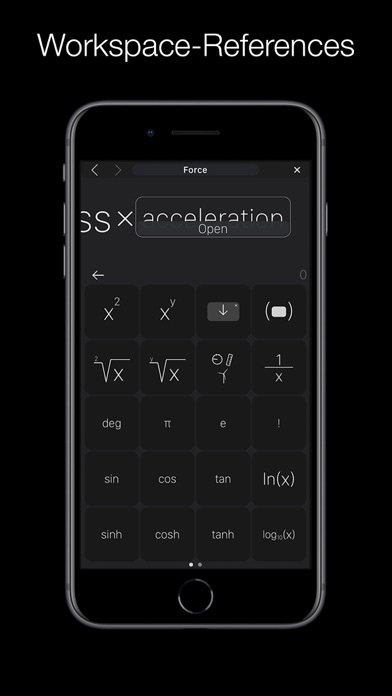 Edit anywhere, undo, copy/paste and take advantage of reusability and Force Touch. • "Workspaces" allow you to focus on what's important. Workspace-References break down complex calculations, promote reusability and increase efficiency. 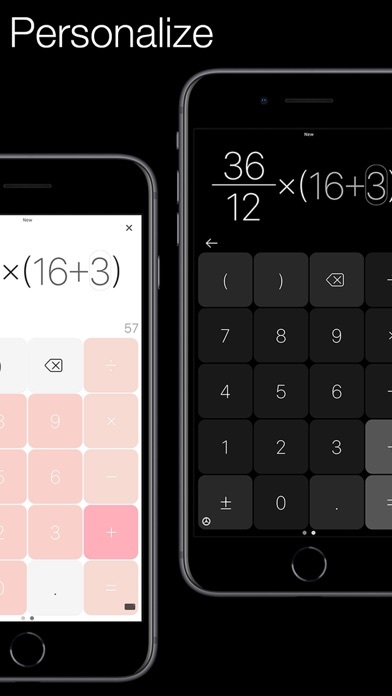 Work on multiple calculations simultaneously and switch between workspaces by 2-finger-swiping. Folders allow for flexible organisation. • Dynamic, in-line unit conversion provides an efficient workflow while maintaining maximum flexibility. • Ten beautiful designs deliver customisation and a sophisticated look and feel. 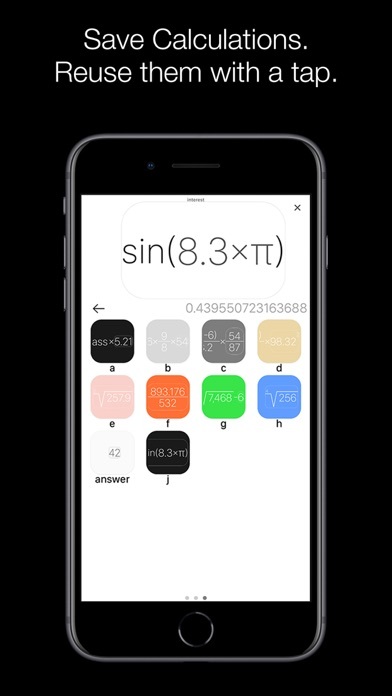 • Use your Apple Watch and the Today-Widget to quickly perform calculations. 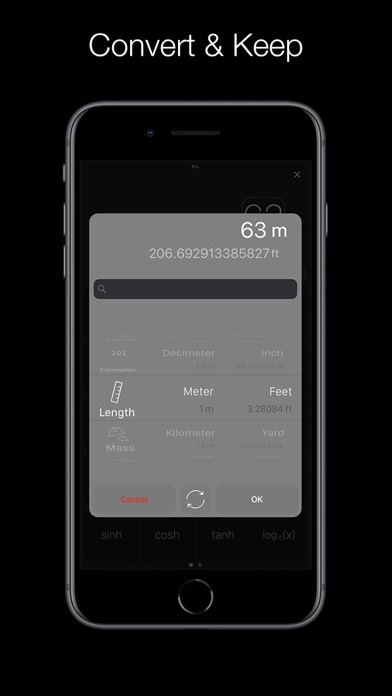 Switch your work to the iPhone by force pressing on your Apple Watch or press and hold on the calculation in the Today-Widget to port it to the main app within a new workspace.